Match tokens to break a curse that has cast a frozen pall over a once warm and lush land! With each step of your journey, you'll gain access to new game modes and bonuses and earn achievements for a job well done! With beautiful hand-drawn graphics, simple point-and-click controls, and special logic levels, The Snow Fable will warm your heart for hours on end! 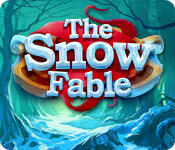 The Snow Fable is rated 4.2 out of 5 by 66. 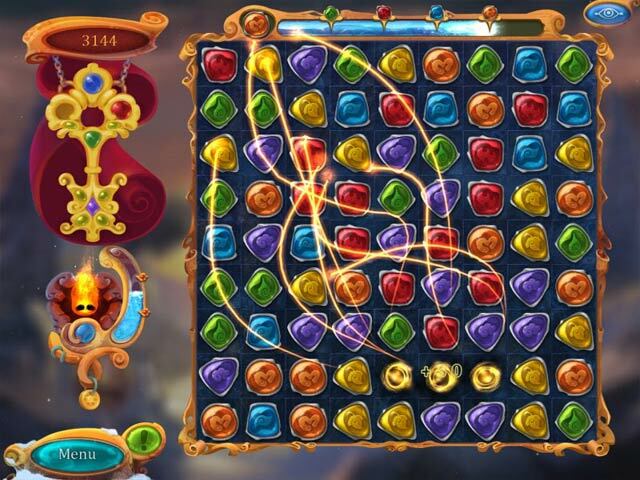 Rated 5 out of 5 by JulzCat from A Match-3 Game That Has Lots To Offer! I've played this game several times and still enjoy replaying it. There's lots to do! You have the sweet adventure mode where you help a little girl team up with a cute little ball of flame to save her frozen parents. Each screen is completely different from the one before! Adventure mode is relatively short, so they give you both relaxed mode boards and challenging timed boards to play. This one is a keeper! Rated 5 out of 5 by helenschaal from Best Match Three Game in a long, long time, maybe ever I wasn't prepared to be thrilled by this game, just looking for some holiday diversion. Started it up wonderful music and beautiful graphics. Then a nice story. But all the boards require something different to solve then. Wow! Some stuff I have never seen in a Match 3.The Challenge boards are very interesting too. I hope the developers come out with more of these because I would buy every single one. Rated 5 out of 5 by blackfaerie11 from Played this for a long time, felt challenged, memorably This was one of the top five Match 3's I've played so far. It stayed on my desktop for a long time. You need to figure out your approach and learn different skills for different boards. Wondered for a time if I could get 100%, but eventually I practiced and did. Definitely got my money's worth. Rated 5 out of 5 by sabinesa from Wow, why did it have to end all too soon! What a beautiful game. For once a story line that worked real well in a match3 game and added to the overall immersion and enjoyment. Each step of the journey brought a new and different matching style and all of them were fun. I was in awe at times at the beauty of the experience. I cannot say that it was a shortish game, but I was real bummed when it finished. I am used to match3 games going on for days and days which is one of the reasons I enjoy them so. Not so with IHO games which can be measured in hours most of the time. The Snow was definitely more than just a couple of hours, but not as lasting as many other good match3 games. And because it was such outstanding game it made it so much more the pity. I have recommended this to numerous friends and know that they got just as much fun out of it. Rated 5 out of 5 by AdrianaIP from Adventure with match-3? Why not? This is a nice collection of Match-3 games, with some unique challenges. It is also an adventure game, with storyline. For those of us who like adventure games, but are a bit soured on HOS (unless done in a clever way), this is a good development. How about some more adventure games with match-3 instead of junk piles to dig into? Rated 5 out of 5 by Glarpo from Fantastic! I don't usually write reviews but I had to comment about this game. 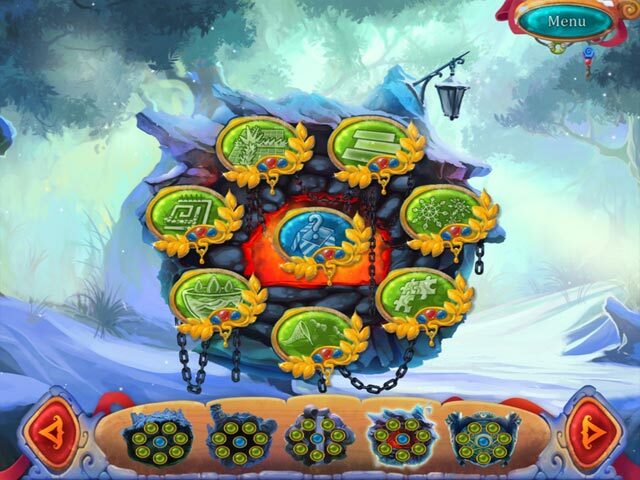 When I am not playing adventure games I usually pull down a match 3 game to break up the challenge.... the snow fable has got to be the best match 3 yet..... the variety is unbelievable and the challenge is awesome.... if you like match 3 I can assure you, you will love this game. Rated 5 out of 5 by Eveline2007 from Totaly Awesome!! It is a beautiful game! After a few hours I am usually finished and don't play a game again because I get bored. But this has a different game on every level. It is very exciting and you can keep going on for days without getting bored. The graphics are pretty, the song is beautiful, I love the music and the game is such an original. This is the lovliest game I've played for years. Exciting, but still very relaxing, most of the levels you can play at your own pace. Play!! Rated 5 out of 5 by shadowbright from Best Match 3 Game I've played I loved this game for the variety of match 3 play, the number of different scenarios, gradually becoming more difficult as you progress. There are so many different goals - some depend on speedy play and some on careful planning. For me the best part has come after the story line, playing the challenges. I expect it will entertain me for quite a long time. Rated 5 out of 5 by Jack_Golitsyn from Beautiful graphics & engaging game play I enjoyed this game for the storyline, the game play, and the graphics. Bonus: nice to finally see a game where the witch character is good and helpful, rather than typically evil. Hard to find, and a large reason I wanted to try the game in the first place. How about more good witches, peeps? Rated 5 out of 5 by sparklefish777 from Let the Snow Fall! I love this Match 3 Game! Clear bright graphics. And lovely storyline about snow and the young girl who makes it go away! Give it a try. You will be glad you did! 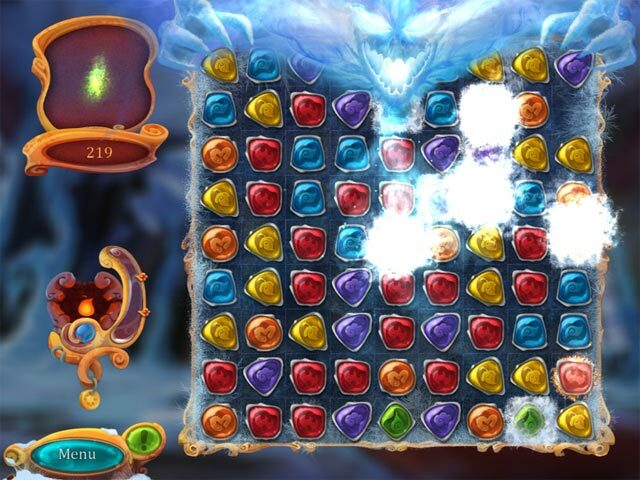 Match tokens to break a curse that has cast a frozen pall over a once warm and lush land!